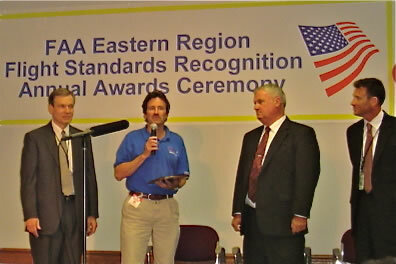 6/13/2007; We flew into JFK to accept the FAA Regional Administrator's Award for "Extraordinary Service!" 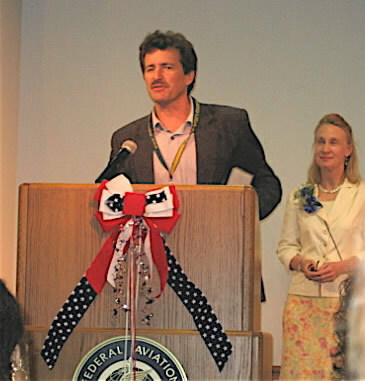 On Wednesday, June 13th, I had the opportunity to accompany David St. George to the FAA Eastern Region Award Ceremony held at the FAA Regional Headquarters in NYC. 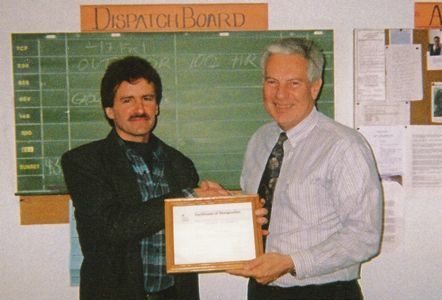 David received the Eastern Region Administrator’s Award for Extraordinary Service. 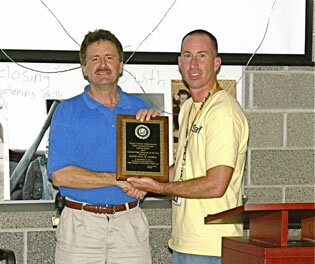 He had been nominated by Patrick O’Neill (the Principle Operations Inspector of East Hill) and aptly recognized by the FAA for exceptional services, educational development and community outreach he tirelessly and enthusiastically provides for our club, its students and the public. We flew into JFK in the mist of fog, rain and an extremely busy radio! 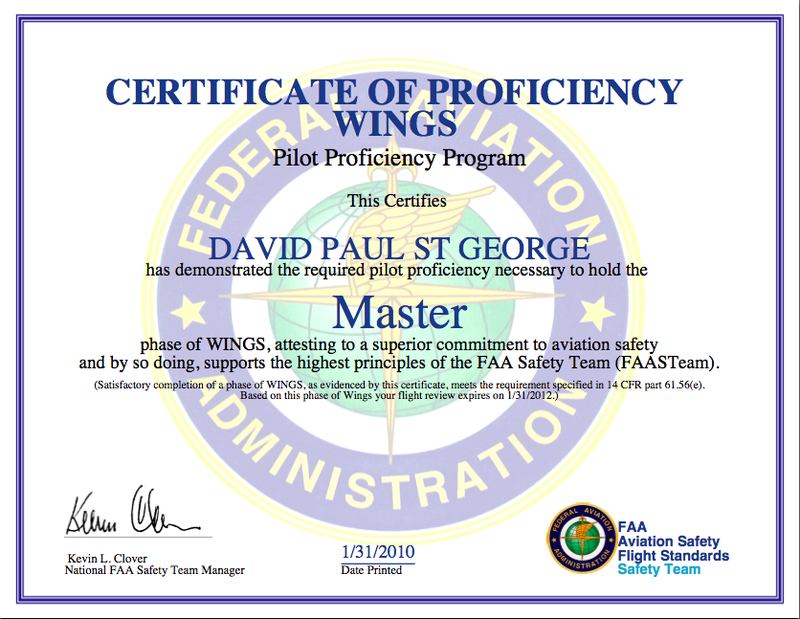 (This was David’s first time flying into JFK and I thought he deserved an award for this alone!) 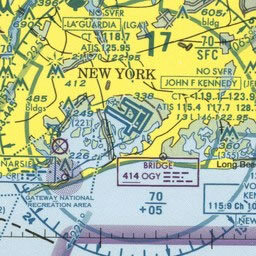 David had planned to take the scenic route VFR down the Hudson River and around Lady Liberty, but ATC had different ideas for us about the time we reached the George Washington Bridge. 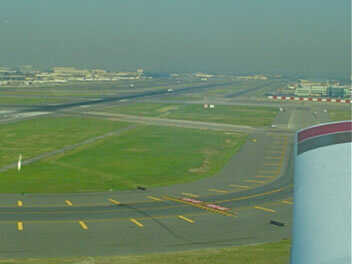 We converted to IFR and were routed around the north side of Long Island and right downwind for runway 4 left. Still, the thrill was not diminished! The experience was spectacular. 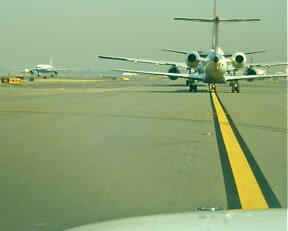 We, and many planes around us, were guided to the runways like a choreographed dance. (I’m sure I heard a symphony playing in the background of the ATC calls.) We parked all by ourselves at the GAT (General Aviation Terminal), an old and underwhelming facility with few services but received an exciting VIP tour of the airport on the way to the FAA Headquarters. We learned that the Port Authority employees train for approximately 240 hours on how to maneuver around the airport in their van (No clearances are requested or given). Judging by the way they were weaving in and out of the taxiways and ramps full of 747’s, we fully appreciated their expertise. 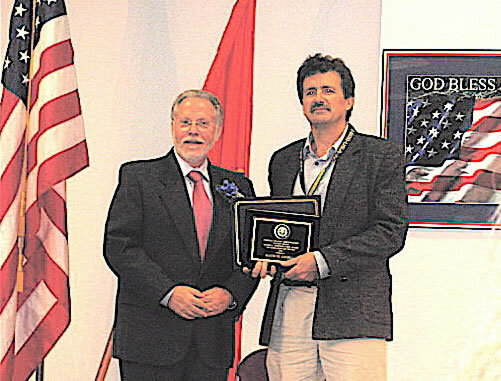 The ceremony was inspirational and I was impressed with the reception David received from several of the FAA officials. 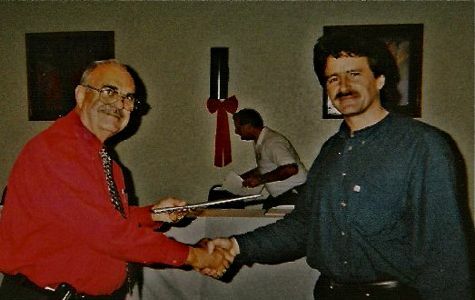 (Apparently, this guy is really something – who knew??) 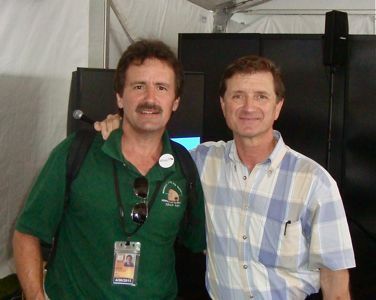 Seriously, the events of the day reinforced how fortunate I am to be learning to fly in a club managed by such a capable and knowledgeable chief. If you have a chance, check out the shiny new plaque hanging in David’s office and give him a pat on the back! 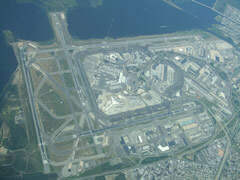 I had an opportunity to again fly into Kennedy International on Long Island this spring. The routing is always circuitous but not particularly difficult if you are proficient with a Garmin 430. Planning ahead is essential and despite best-laid plans the taxi can be the worst part. Last year they taxied us up a closed runway and we were at the GA Terminal in 5 minutes. This time there was a whole series of taxi-stop-hold short dynamics (made worse by that early 100 degree heat wave and jet exhaust). The new initiative at Ithaca is very similar: e.g. “taxi to the ramp via echo, alpha and delta,” all routes are specified exactly. An additional bit of excitement is not being blown over by jets ahead or jets on crossing taxiways “budging” into the line of traffic. Departing, we waited almost 20 minutes for our first IFR clearance and taxi, then received three re- routes as we taxied to the active. This provided plenty of time for picture taking! This picture shows the average distance you can allow behind jets before you get told to stop and make way for converging traffic. We were (again) the only prop job they had seen in a long time but my partner in crime Mario Tomei observed: “It’s not really much worse than Syracuse, just bigger and busier.” If you know the correct procedures and terminology, you can function comfortably anywhere in the ATC system.